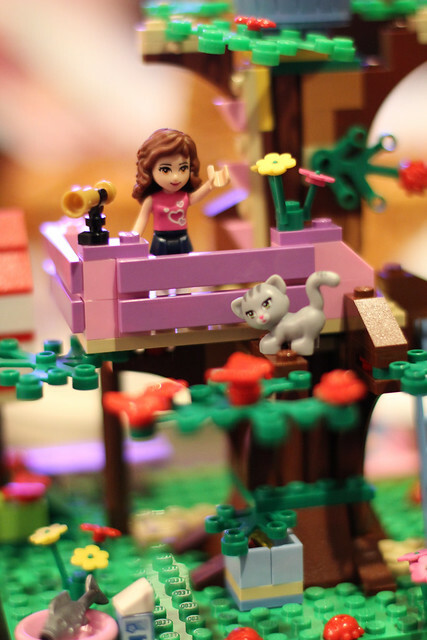 The first of the girl-oriented Lego Friends kits to arrive in our house is Olivia's Treehouse. Liz and Claire put it together yesterday, and Claire insisted that it should be my 365 photo (thus you get a bonus shot--lucky you!). Of course, Claire wanted me to fix the blurry bits, so then I got to try to explain depth of field to a four-year-old.